NASL is rife with rumors at the moment, so it seemed prudent to jot a few of the more solid rumors from trusted sources down for reader pleasure. These have come from sources very close to the clubs and situations, but I stress, these are not 100% confirmed. First up is that expansion club Indy Eleven is set to announce a coach in the next two days. One source states that former MLS and Queens Park Rangers goalkeeper Juergen Sommer is slated to take up the head coaching reigns. Sommer had a solid career in MLS, with Major League Soccer listing him at 54 games and 4,868 minutes played. Sommer has spent time coaching with the national team and in the youth ranks. Another source said that at one point former U.S. National Team player John Stollmeyer was up for the position, but lost out to Sommer in the latter stages of selections. 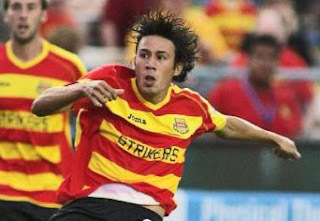 On another front big news is coming down the pipes that a major, possibly five player, trade is brewing between the Atlanta Silverbacks and the Ft. Lauderdale Strikers. Rumors of Andy Herron's difficulty in getting along with Strikers' head coach Daryl Shore have been floating around for sometime, but this looks to have been the catalyst for a much bigger deal to gear up. At the moment, Ft. Lauderdale appears ready to give up Herron and the highly touted Walter Restrepo. Herron for his part is a quality presence up top and a respected forward in the league, his addition to Atlanta could benefit both sides. Restrepo's play making ability is said to be something strongly envied by the Atlanta coaching staff, particularly when considering his 21 starts in 23 matches (all competitions) in 2012. Interestingly, several names have been mentioned as possible compensation for the Ft. Lauderdale duo. The first is Atlanta's second leading scorer Pedro Mendes. Mendes has accounted for 23 shots thus far this year, first among the Silverbacks and has three goals to show for it. Questionable attitudes in training and the possible emergence of on-loan striker Kellen Gulley would seem to lend credence to Atlanta's willingness to trade the young forward. Also mentioned was forward Jahbari Willis and goalkeeper Joe Nasco. The moves would make sense for Daryl Shore as the Strikers are in need of a goalkeeper since Jeff Attinella returned has to Real Salt Lake. If Jahbari Willis is also up for grabs, that would give Shore added reinforcements to the attacking regiments to push for a more comfortable table standing. Listen: New York City FC Roundtable- What does it mean for the MLS and NASL markets? 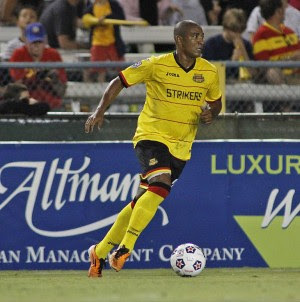 Lastly, several reports have surfaced that the New York Cosmos have signed aging midfielder Marcos Senna of Villarreal. While there is questionable evidence of this, it has been clear that the Cosmos are struggling to sign players of note to their roster leading up to their August debut. The announcement of New York City FC has made there efforts particularly trouble. One source has mentioned that voices in the Manchester City camp have stifled efforts by the Cosmos on multiple front, but that seems more fan conspiracy theory than anything else. Walter Restrepo has confirmed that the rumor of his trade is false. Andy Herron though, still unknown.